specifically designed for the home, virtually anyone can use it to help save a life that may otherwise be lost to sudden cardiac arrest. 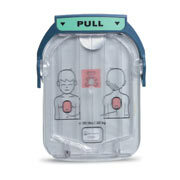 The device is designed to deliver a life-saving shock, and in the process, provide calm and steady guidance to the person who must operate it. Hard Carry Case designed for all weather conditions. Our waterproof carrying case made of hard-shell plastic is suited for more rigorous use, particularly in wet outdoor settings. 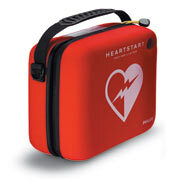 It can also accommodate a spare battery, spare pads, and the contents of the Fast Response Kit. 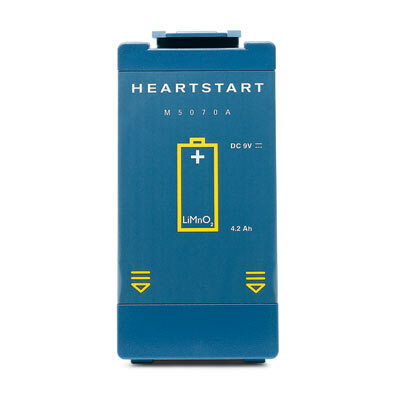 Cabinet for HeartStart AED. Basic audible siren alarm. No visual alarm. No connectivity to building’s security system. The Defibrillator Cabinet, constructed of heavy gauge steel and tempered glass, protects your defibrillator from theft and the elements. 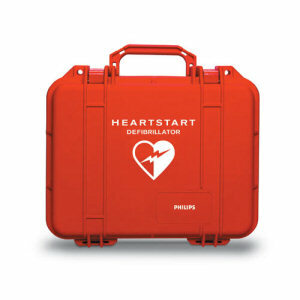 Equipped with an audible alarm and flashing lights (powered by two 9-volt alkaline batteries), the Cabinet attracts attention to mobilize assistance during a cardiac emergency or deter theft. Opening the Cabinet's door activates the audible alarm and lights. For locations where a siren is inappropriate, the audible alarm can be disabled. The Defibrillator Cabinet, constructed of heavy gauge steel and tempered glass, protects your defibrillator from theft and the elements. 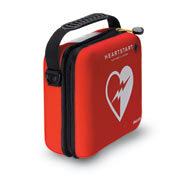 Equipped with an audible alarm and flashing lights (powered by two 9-volt alkaline batteries), the Cabinet attracts attention to mobilize assistance during a cardiac emergency or deter theft. Opening the Cabinet's door activates the audible alarm and lights. For locations where a siren is inappropriate, the audible alarm can be disabled. Dimensions: 16" x 22.5" x 6"